Tequila is an alcoholic beverage that is fabricated through the processes of fermentation and distillation. It originates from the blue agave plant. If this plant is not used in the process of making a distilled beverage, then this will not receive the name “tequila”, although it could be named either aguardiente or mezcal. 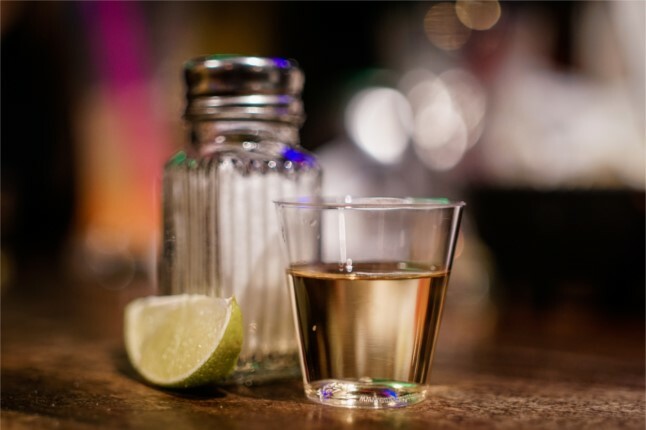 Tequila is a Mexican product and its production is bound by the protected designation of origin, so it can’t be fabricated elsewhere apart from Mexico (and within Mexico, it can only be produced in the states of Jalisco, Guanajuato, Michoacán, Nayarit and Tamaulipas in terms of Mexican laws). There are some kinds of tequila according to whether if they have added sugars or their aging gaps. For example, tequila can be either 100% agave (when the product is made of nothing but agave) or just tequila (when the product is enriched and mixed with up to 49% of very specific sugars). From these two categories, tequila can be further classified according their aging as white tequila (blanco), gold tequila (joven), tequila reposado (aged), tequila añejo (extra aged) and tequila extra añejo (ultra-aged). Amongst these, tequila añejo and tequila reposado are some of the most popular and appreciated. Definition Tequila reposado can be abocado. Abocado is a process in which tequila’s flavor is softened by adding caramel color, oak extract, sugar syrup or even glycerin. This kind of tequila can be considered the very first stage of rested tequila. Tequila reposado is tequila blanco that has been rested or aged. Just as tequila reposado, tequila añejo can also be abocado. The difference between reposado and añejo is the time they spend aging. Tequila añejo must be aged longer than reposado. This process gives añejo softer and richer notes with a strong wood flavor. For many people, añejo can be described as smoother, more complex and sophisticated than the others. Aging- resting As for tequila reposado, it is bound to an aging or resting process from anything between 2 months and 1 year. The resting process must take place in oak barrels. Direct contact between the liquid and the wood is mandatory. On the other hand, añejo must be aged for anything between 1 and 3 years. Again, the resting or aging process must take place in oak barrels with a top capacity of 600 liters (158.5 gal). Direct contact between the liquid and the wood is mandatory.